We recently managed to get our hands on the Google Pixel and we’ve been delighted with it’s performance. One of its stand out features is Google Assistant which is Google’s answer to the Amazon Echo. Unless you have lots of money to spend and a desire to have Amazon Echo’s in every room, being able to use voice control through your phone can be useful. Unfortunately being in the UK means we’re behind the states in terms of tech roll outs. Therefore we don’t yet have a direct connection between Google Assistant and SmartThings. However if you’re impatient like me, then we have a way around this. 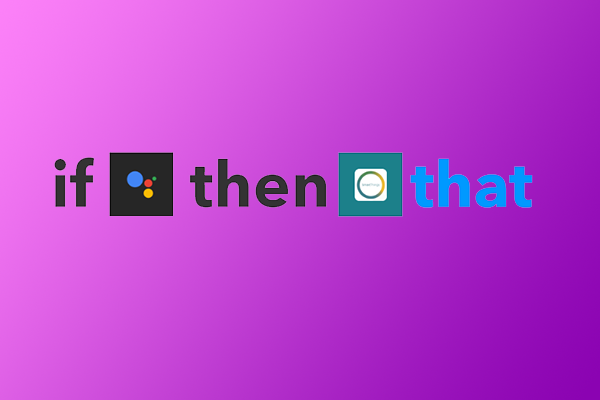 Using one of our favourite go between apps IFTTT (if this then that), we can create rules which can bridge the two together. Login to your IFTTT account or create a new one. Repeat steps 3-5 for the off command. Firstly you need to select Google Assistant as your trigger. 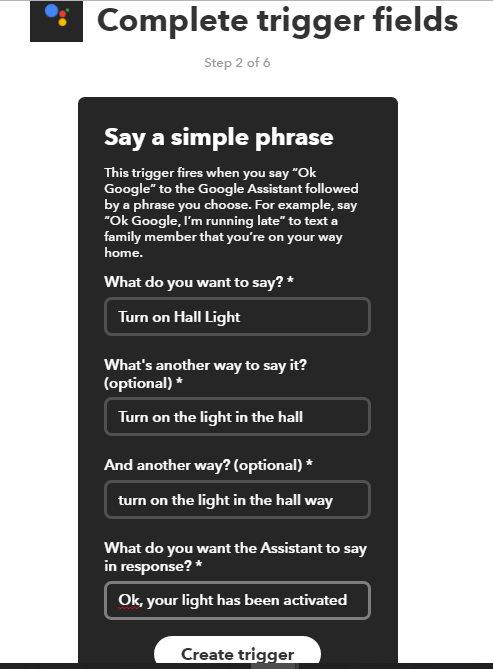 We are then presented with options for how the assistant is activated. These include options such as a phrase or a phrase with a number etc. They are all explained in detail. For this example we will just choose the phrase option. The next step asks for what you might say to trigger your action. You can type in up to three options as seen in the example below. In the final box you can add confirmation feedback, here is where you can have a little fun. You could specify the response in many ways such as “OK, master”. It’s your choice! 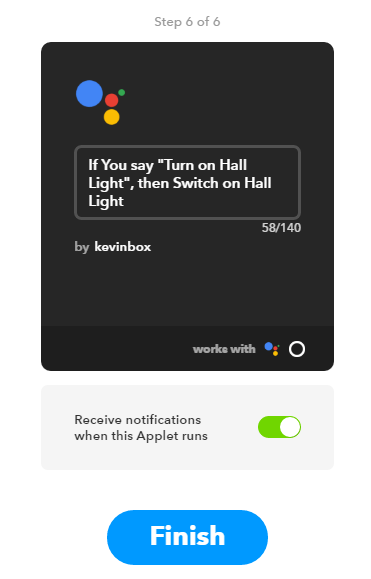 Once the Google Assistant options have been set, you will then need to choose the action followed by the device from SmartThings. Finally, you just need to confirm it all makes sense and it’s ready to go! Now once you’ve set up the rule for turning things on, you’ll have to create a secondary rule for turning things off. 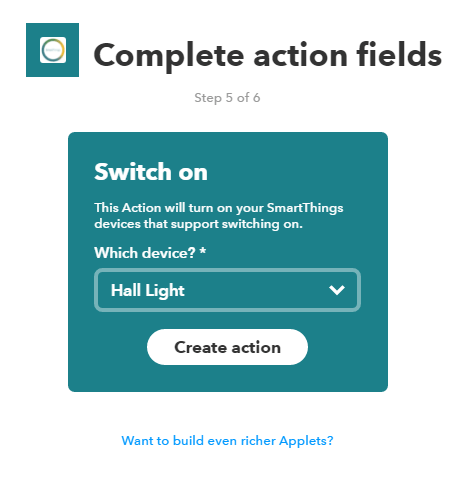 There are various rules you can use to alter various devices connected to SmartThings, have a play around and see what you can create.